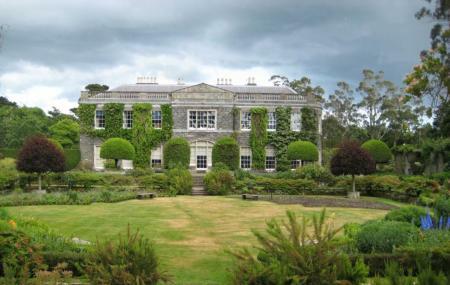 Mount Stewart is a mansion that's way beyond the imagination of a dream house. The family that played a significant role in the history and politics of Ireland resided in this 18th century house with a 98 acre garden. The garden is a reflection of the elite and elegant tapestry of design. There is a reasonable cafe and a tea room in the premises as well. This is therefore a highly recommended attraction in the city of Belfast. How popular is Mount Stewart? People normally club together Carrickfergus Castle and Titanic Belfast while planning their visit to Mount Stewart. This is a truely magical National Trust property and park. The house is beautifully restored and is staffed by lovely knowledgeable guides who go out of their way to make your experience an absolute pleasure. It is great to see the house exactly how it used to be and the gardens are simply breathtaking. I would highly recommend a visit but would also advise comfortable shoes as there is quite a lot to see. There is a lovely tea room with a good selection of snacks on offer and the toilet facilities around the estate are very clean and tidy. Beautiful place great for anyone of any age. A lovely place for a picnic and the Jazz on the Lawn events are brilliant! Fantastic place, peaceful and beautiful surroundings. Amazing location!! Wow!! We spent a day there..great fun!! Loads and loads to see...really good location if you like walks, gardens and scenery.